These adorable printable Easter Hunt kits will lead your child right to the Easter eggs the Easter Bunny left! This is such a great idea for parents with younger children who don’t quite understand the concept of finding hidden objects. However there’s nothing stopping adults leaving a more adult surprise for their partners either… after all, just because you’ve all grown up doesn’t mean you can’t still enjoy Easter! ❀ Easter Egg Hunt Kit – Free Printables -- contains everything you need to set up a fun Easter Egg Hunt at home. The free printables set contains posters, arrow pointers, clue cards (to fill in with your own clues), bunny paw prints, Easter bunnies, and letter eggs. 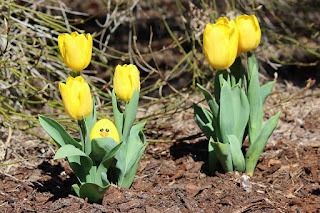 ❀ Complete (Free) Easter Egg hunt guide for all ages -- all the Easter Egg Hunt Clues written and ready to print, with advice on how to use them to make the Egg Hunt quicker or trickier! ❀ Adorable Easter Egg Hunt Printable Clues Kit -- This Easter egg hunt printable kit comes with a wide range of printables to keep small children entertained during this year’s egg hunt. ❀ Printable Easter Egg Hunt Ideas + Clues -- includes printable Easter Egg Hunt Ideas, clues as well as blank eggs for you to write your own clues on. ❀ Free Easter Egg Hunt Printables -- Simply print and cut out, then pop on some skewers and scatter around the garden (along with some yummy treats) for an epic Easter hunt! ❀ Easter Egg Hunt Printables -- includes directional signs that read This Way! and Hop To It! , as well as a Start Here banner with the same adorable Easter bunny illustrations as Easter treat bags and Hoppy Easter card. ❀ PRINTABLE | Easter Hunt Kit -- Featuring some bunnies and sheeps, you can either stake these in the ground around the garden, or stick them about the house. ❀ Easter Egg Hunt Board Game -- Can't wait for the Easter egg hunt? This printable board games page has the solution! This lovely simple board game will excite children towards Easter, perfect during the Easter holidays if you can't get enough of egg hunting fun, or really at any time of the year.